QFT Control Toolbox for Matlab. 10th Anniversary!!! 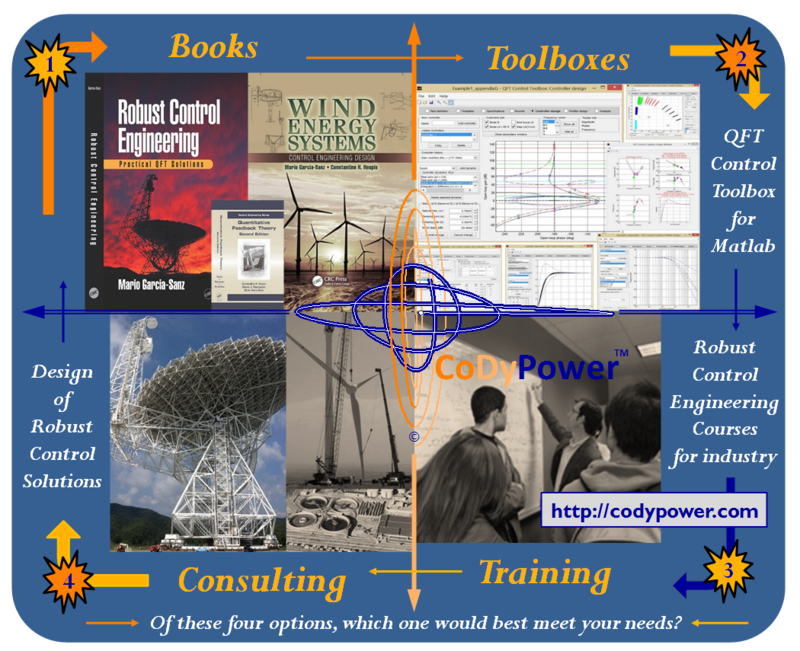 The QFT Control Toolbox, or QFTCT, is the professional, interactive and user-friendly toolbox for Matlab of CoDyPower LLC, © 2008 - 2018. All Rights Reserved. It applies the Quantitative Feedback Theory (QFT) to the design of automatic robust control systems. The software has been developed by Prof. Mario Garcia-Sanz. Over the years, the toolbox has been widely applied by industry, space agencies, research centers and universities to design robust control solutions and servo-systems. 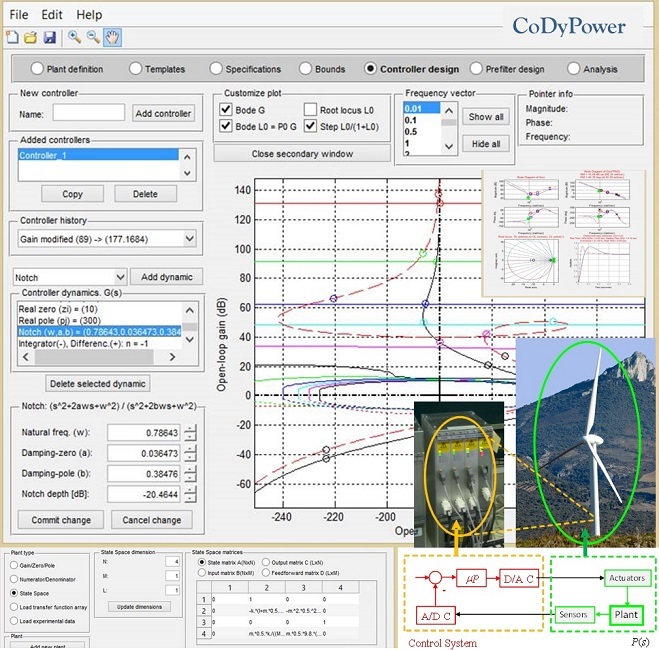 The QFT Control Toolbox (1) gives solutions from simple PIDs to more advanced controllers when necessary, (2) deals with plants with model uncertainty, (3) is able to work with multi-objective performance specifications, and (4) keeps the engineering understanding of the design in the frequency domain. The toolbox runs with Matlab and offers an very intuitive and user-friendly windows environment. For those interested on purchasing a license of the QFT Control Toolbox for Matlab, please Click here. Screenshots of the toolbox: Click here. User's manual & Books' projects: Click here. Publications and Industrial projects: Click here. Courses with the QFT Control Toolbox: Click here. See our 4 complementary products: Click here. Customer reviews (submit your comments): Click here. Quotes and comments: Click here.